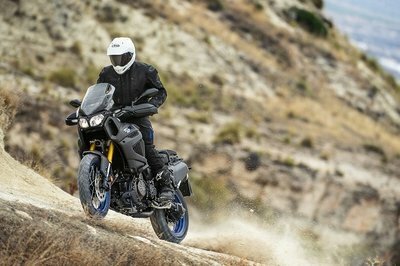 The dual sport bikes are starting to conquer more and more terrain with every year that passes, as their versatile character attracts many fans. 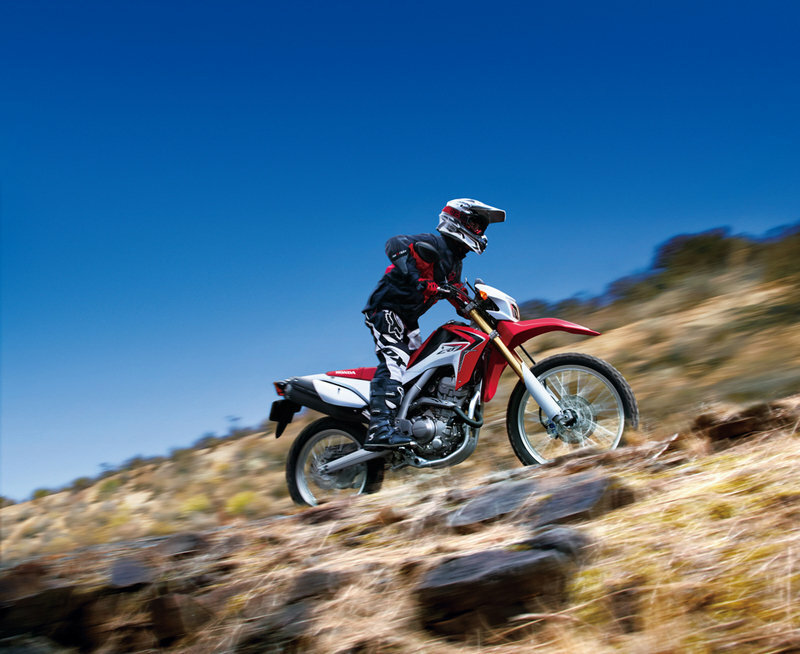 One of the latest dual purpose motorcycle launched by Honda is the 2012 CRF250L. 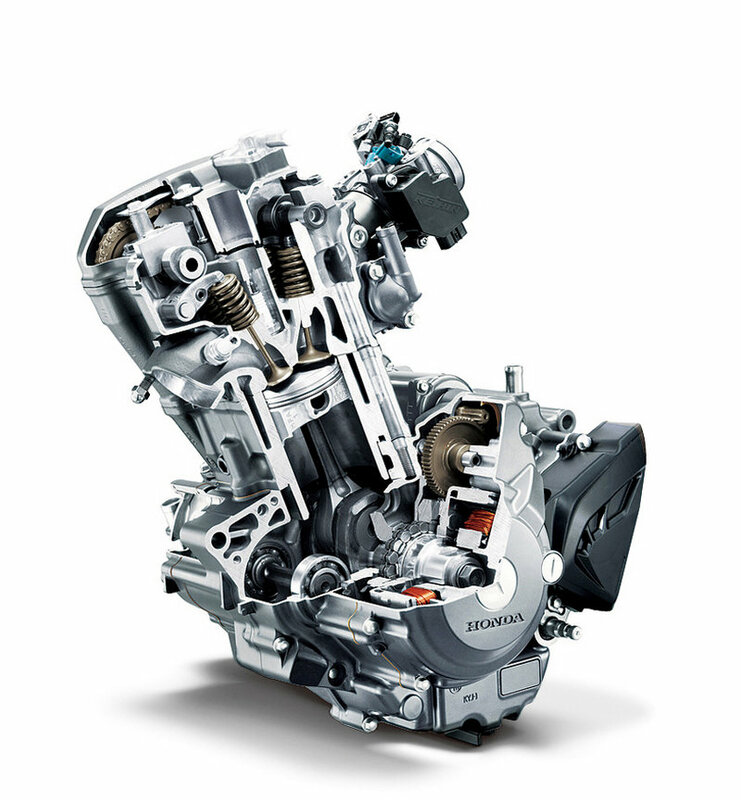 The bike is powered by a liquid-cooled, DOHC, four-valve, 249cc single engine that features Honda’s proprietary Programmable Fuel Injection (PGM-FI), a gear-driven counter-balancer and a very compact cylinder head. 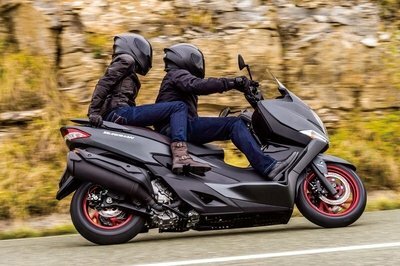 Honda claims that its engine is able to offer 77-mpg fuel economy while giving the bike a range of around 154 miles from its 2.0-gallon tank. The engine is mounted on a steel twin-spar frame which is light yet rigid. As far as suspensions go, the Honda CRF250L sports a front 43mm inverted fork which offers 8.7 inches of travel up and a preload-adjustable Pro-Link rear shock with 9.4 in. of travel. The stopping power is assured by a single twin-piston caliper/256mm disc combo up front and a single-piston caliper and 220mm disc at the rear. Hit the jump for more information on the 2012 Honda CRF250L. The CRF250L is an awesome dual-sport machine that adds off-road capability to its on-road prowess. The CRF250L gives you a great upright seating position that’s comfortable for longer rides, perfect for seeing your way through an urban traffic snarl or getting out on the trail. And if your town doesn’t have enough money to fix those potholes or pavement patches, the CRF250L’s long-travel suspension is built to handle them no problem. Sure, the new CRF250L is super practical, offering great fuel economy. 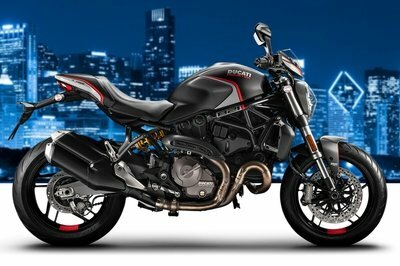 But even that’s small potatoes compared to how much fun per gallon you’ll have riding one. The new Honda CRF250L just plain makes sense. When are you going to get yours? 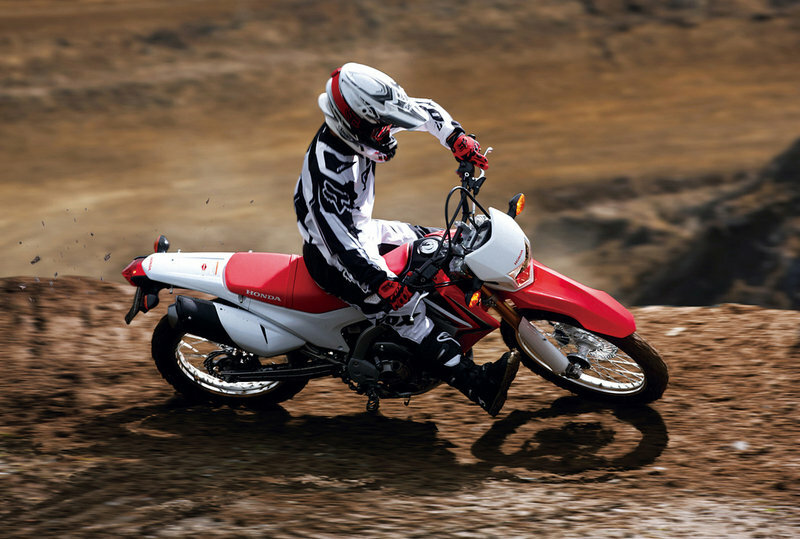 We equipped the CRF250L with a fuel-injected single-cylinder engine that features an electric starter, double-overhead cams and a counterbalancer. Why? 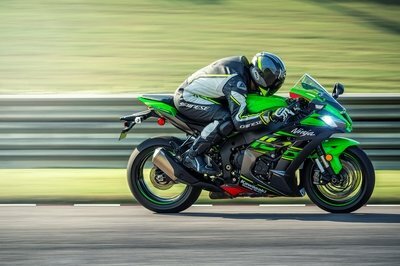 Because when you put it all together, you end up with a bike that delivers consistent rider-friendly power, plenty of mid-range torque and loads of confidence. Looking for a nice, comfortable, neutral seating position that isn’t too hunched over or too laid back? The CRF250L has you covered. It’s a perfect balance that puts you in the right position to see what’s going on in traffic, yet comfortable for a long trail ride too! In short, it just plain makes sense—just like the CRF250L! Less Pain at the Pump. Sure, the CRF250L is a ton of fun. But here’s something that makes it even better: Awesome fuel economy. Maneuverable, narrow, and thrifty. Which means fill-ups are fewer, further between, and a lot less costly. 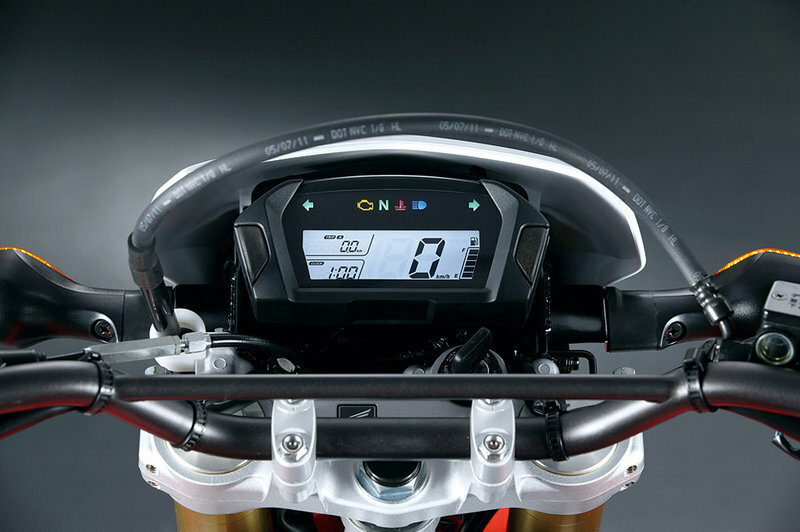 The CRF250L’s digital instrument cluster is integrated with the headlight visor to give you all the information you need: Speedometer, clock, twin tripmeter, fuel gauge, and more. An inverted Showa fork features large 43mm sliders. 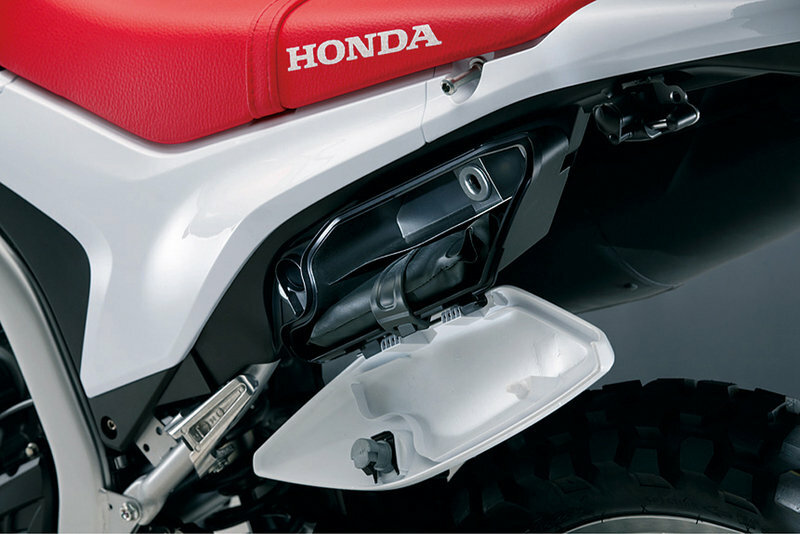 That makes it strong and helps add to the CRF250L’s excellent handling in on or off-road conditions. A 21-inch front and 18-inch rear wheel give you a wide selection of tire choices for everything from serious off-road trail riding to smooth on-road touring. The CRF250L’s long, comfortable, motocross-style seat lets you move forward and backward on the bike depending on the terrain and riding conditions. Fuel injection means the new CRF250L starts right up, even in cold weather. Compared to a carbureted bike, it also helps reduce emissions and enhance performance and fuel economy. A single is the perfect choice for a bike like the CRF250L. It’s light, simple, returns excellent fuel economy, and features a broad powerband with plenty of low-revving torque-just what you want in a first motorcycle. A sturdy steel frame is strong and designed to survive in the real world of rough pavement or off-road trails. The CRF250L uses a Pro-Link single-shock rear suspension that not only gives you a smooth ride, but helps enhance handling too, just as on our larger dual-sport models. With its long seat and fold-up frame-mounted passenger footpegs, the new CRF250L is fully equipped to carry a passenger so you can share the fun. The new CRF250L features front and rear hydraulic discs for excellent stopping power and brake feel, both for on-road and off-road use. Special cargo hooks make it easy to secure a light load to the passenger seat with bungee cords without scratching the bodywork. It’s just another one of the nice touches that help make the CRF250L so versatile. It also has a storage box on the left side for small items you need to keep secure. Miles Per Gallon TBD - Honda’s fuel economy estimates are based on EPA exhaust emission measurement test procedures and are intended for comparison purposes only. Your actual mileage will vary depending on how you ride, how you maintain your vehicle, weather, road conditions, tire pressure, installation of accessories, cargo, rider and passenger weight, and other factors. 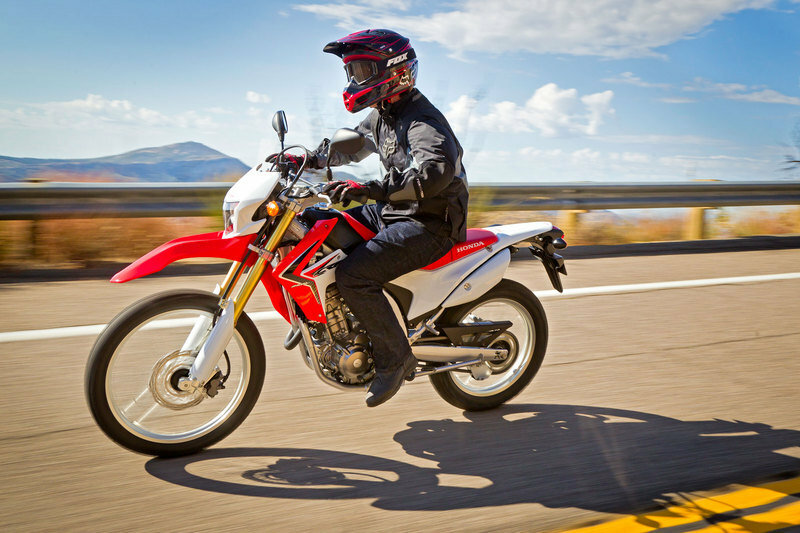 Motorcycle-usa ---- "Good news for American dual sport riders; Honda has decided to import the 2013 CRF250L after omitting it from the 2012 American lineup." Cycleworld ---- "This class is not foreign to Honda; it produced the air-cooled, 50-state street-legal CRF230L last available in 2009. 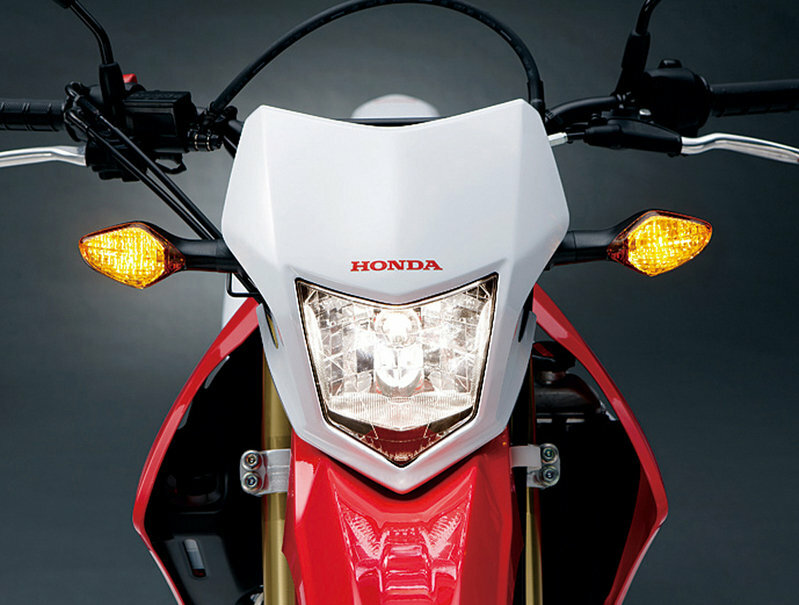 But the CRF250L is an all-new machine that has very little in common with the 230." Ultimatemotorcycling ---- "The CRF250L features a liquid-cooled, 250cc 4-stroke DOHC single-cylinder engine similar to the one used in Honda’s CBR250R."